I am at present the Educational Director of the ECC and a Co-Director with Joanie Bivas. I have been a teacher of early childhood education for over twenty five years at the Church in the Highlands and have taught the five afternoon fours as well as three morning fours. I have also run parenting classes here and at the YWCA for many years. I am a graduate of Boston University where I received my BA. I received my Masters in Teaching from Manhattanville College. I also have a Masters in Social Work from Fordham University as well as a Certificate in Childhood and Adolescent Therapy. It is my goal to provide a rich and stimulating environment that is at the same time, warm and loving and supportive of the child’s own learning priorities and pacing. It is my belief that within a non-pressured environment that young children acquire a solid sense of security, positive self esteem, and a long term enthusiasm for learning. It is my job to develop the curriculum and creative learning experiences for the children, as well as providing body and sensory awareness, emotional development, conflict resolution and kindness in young children. I find that the children are inspiring and wonderful to be around. I enjoy working with them and seeing them grow and flourish. Childhood is a JOURNEY and should be savored and enjoyed! I have been a part of the Church in the Highlands Family for over fifteen years. I started as an assistant teacher in the 2’s and 3’s program, worked with the tiny tots and many summer camps. I was the assistant director before taking over as the administrative director. 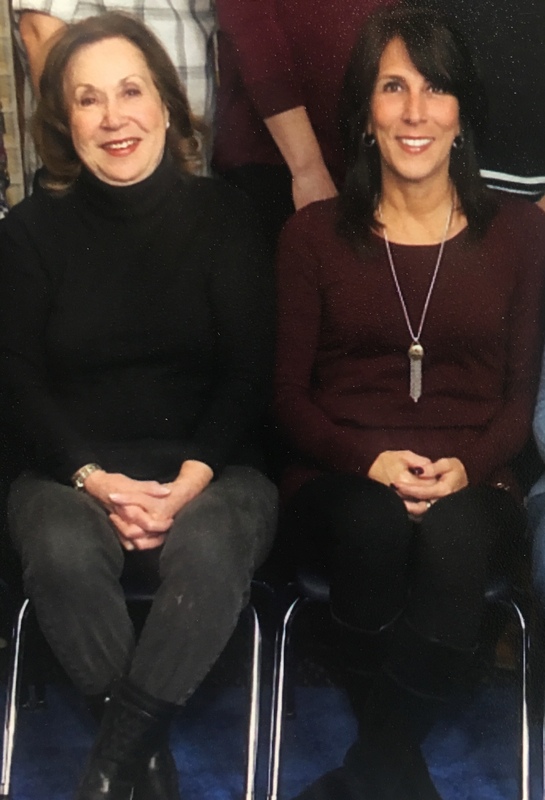 In my capacity as the administrative director my responsibilities include being a liaison between parents and teachers, scheduling tours for prospective families, fundraising, planning family events, and many other duities. I truly enjoy my job here simply because of the children, parents, and staff- they are great! I am excited to be part of the staff of Church in the Highlands Early Childhood Center as the Head Teacher of the morning 3’s class and the full day Head Teacher. I have a Bachelor’s Degree in Psychology from Iona College and a Masters Degree in Special Education from the College of New Rochelle. I have my New York State Certification in Education. As an educator, I have over ten years experience teaching children of various ages from preschool to eighth grade. I have also worked with children who are blind and visually impaired. As a mother of four young children I understand the importance of wanting a safe and nurturing environment where my child’s needs can be met and enriched. I enjoy teaching, and love being an active participant in a child’s education. I have been a preschool teacher for 12 years, developing curriculum and creative instruction. 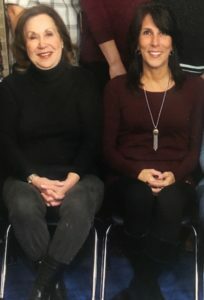 i HOLD A NEW YORK STATE PUBLIC SCHOOL TEACHERS CERTIFICATION FROM BIRTH TO GRADE 2. i STARTED MY PRESCHOOL CLASSROOM EXPERIENCE IN 2007 AS A CO-TEACHER IN A PRIVATE FOURS CLASSROOM IN MAMARONECK, NEW YORK AND SINCE MOVED ON TO BE THE Head Teacher of FOURS CLASSROOMS INCLUDING UPK, HEAD START AND PRIVATE SETTINGS. IN THE PAST YEAR I WORKED AS AN EDUCATIONAL DIRECTOR IN A CENTER SERVING CHILDREN 6 WEEKS OLD THROUGH 5 YEARS OLD. My undergraduate degree is from PACE UNIVERSITY and my Masters Degree iN EDUCATION IS from the College of New Rochelle. My DAUGHTER GRADUATED CHURCH IN THE HIGHLANDS TWO YEARS AGO and MY son WILL BE ATTENDING THIS YEAR IN THE TWO’S! IN MY CLASSROOM I STRIVE TO PROVIDE AN EDUCATION FOR ALL STUDENTS WHICH WILL HELP THEM BLOSSOM INTO WELL-ROUNDED INDIVIDUALS WHO ARE READY FOR KINDERGARTEN AND BEYOND! I INCORPORATE A CHILD INTEREST DRIVEN CURRICULUM WITH A MULTI-SENSORY ENVIRONMENT TO CREATE A FULLY HANDS ON AND ENGAGING EXPERIENCE. I LOVE THE SENSE OF COMMUNITY AND THE LOVING AND CARING DYNAMIC THAT EXISTS BETWEEN THE STAFF, CHILDREN AND FAMILIES. I AM HONORED TO HAVE THE OPPORTUNITY TO WORK WITHIN THIS SCHOOL AND AM LOOKING FORWARD TO THIS SCHOOL YEAR. I have been a part of Church in the Highlands family for over 15 years. I started as a teacher in tiny tots and a full time substitute teacher in the 2’s, 3’s, 4’s and summer camp. Also for the past 8 years I have been the teacher of the Art Enrichment Program. I have over 20 years of experience teaching and working with children in Art Enrichment clubs and work shops in Westchester schools. I enjoy teaching and love being a part of a child’s education. I am excited to return to the staff as one of the teachers of the morning 2’s am class 5 days a week. I am a mother of two outstanding children, My daughter Jenny is in her 2nd year at James Madison University in VA. and my son Nicky is a junior at Harrison High School. i have worked at the church in the highlands ecc for the past three years. I first taught in the early two’s program and then moved to the combo classroom in the 3/4’s class for the last two years. i have my masters in education from fordham university. i have taught in elementary schools for ten years both public and private schools and internationally as well. i have spent time in new york city and abroad at the American school (t.a.s.i.s.) in Surrey, england. After RETURNING to teach at a dual language school in lower manhattan, my class was chosen by the then secretary of education, rod paige, for a tour of the nyc schools. i love teaching the combo class at church in the highlands and look forward each year to creating a stimulating and exciting year for her students. my name is isil schwartz and i am ORIGINALLY from turkey. i got my bachelors degree in education from bosphorus university in istanbul and my masters degree in multilingual-multicultural education from the college of new rochelle. i am a new york state certified teacher and i have taught children from pre-k all the way up to 5th grade. i am so excited to be a part of the church in the highlands ecc community again. i was a parent here myself for four years. my daughter graduated in 2016 and she is now a second grader at ridgeway elementary school. i also have a 12 year old son who is in 7th grade at highlands middle school. my goal is to provide our students with a safe and NURTURING environment where they can play, learn, share and have fun together while getting used to a classroom setting. i am looking forward to teaching the early twos program with miss jill this year. After being an occasional substitute and long time Church in the Highlands parent, I am so excited to be a part of the Church in the Highlands family as an assistant in the 3/4’s combo classroom. I am a mother of 4 children, all of whom attended Church in the Highlands and are now in White Plains public schools. I received my Bachelor’s Degree in business from Fordham University. I worked in marketing for a few years before deciding to go back to school to become a teacher. I have a Master’s Degree in Childhood Education from Mercy College and am a New York State certified teacher. I taught elementary school in the Bronx for 9 years before I decided to be a stay-at-home mom which I did for the past 7 years. My youngest finished Church in the Highlands last year and is off to kindergarten so I am eager to get back to work doing what I love – working with children! I was born and raised in White Plains and was married in the Church in the Highlands. I had a former job in advertising until I had kids and decided to be a stay at home mom. Both of my children are enrolled in the White Plains School district, one at the middle school and one in the high school. I went back to work, after the kids grew older, at Pace University but four years ago I joined the Church in the Highlands team as a substitute teacher. I am now happy to be working with Miss Mary in the 2’s class five days a week as her assistant. This is my third year and I am excited to be able to help the Church in the Highlands students grow and learn. i live in the Highlands and am a former student of the church in the highlands early childhood center. i am currently working toward my bachelor’s degree in early childhood education. I have worked as a preschool assistant for the last three years. i enjoy working with young children and helping them grow and develop throughout the school year. I am very excited to join the Church in the highlands ecc family! Church in the Highlands has been a part of my life for over 18 years, when my two children attended this wonderful preschool. I am very excited to spend another year as a Teacher’s Assistant in the 4’s classroom. I graduated from Syracuse University with a Bachelor’s Degree in Psychology. After having children and working for many years in Human Resources at the American Red Cross, I had an opportunity to change my career and be more available for my own family by working as an instructor for the White Plains Recreation Department teaching Mommy and Me, Art and Fitness classes for children ages 18 month – 5 years old. I have been working for the Recreation Department for over 13 years. I truly love working with young children. Preschooler’s brighten my day and bring me such joy and happiness. I so look forward to working with your children. I am so happy to be a part of the staff of the church in the highlands. I started here as a volunteer, then a substitute, and am now a teacher’s assistant in the combo class. both of my sons attended this preschool and each had such wonderful experiences here. i felt so lucky to have found such a NURTURING, creative and fun environment. i am excited to now be working alongside this amazing group of teachers. I have a bachelor’s degree in english, and worked in both publishing and advertising before deciding to be a stay-at-home mom. i always said whenever i went back to work i wanted to do something i was passionate about, and that’s working with young children. I truly love being around them and watching them grow and learn. When asked about the start of my musical career, my parents often say that, ‘I sang before I talked and danced before I walked!’ I was fortunate to grow up surrounded by music, theater and a love for the arts. As a young child I performed in dance recitals at Carnegie Hall and performed selections from my father’s original children’s album on national television. I studied piano and guitar privately and graduated from Fordham University at Lincoln Center with a degree in Musical Theater. I have taught creative movement to young children both privately and at the Harkness Dance Center in New York City. Originally from Manhattan, I moved to Westchester when I got married and have been living in White Plains for the past six years. I have enjoyed every moment of teaching my ‘Melody in Motion’ music & movement program here at The Church in The Highlands. The children’s enthusiasm and eagerness to sing and dance is truly an inspiration! I am originally from Italy but moved to White Plains in 1978. Back in Italy I worked as a teacher. I started a family here and enrolled my son Conner in 2003 for the 3’s class and then for the 4’s the following year here at the Church in the Highlands ECC. Once my son went off to kindergarten I began teaching again and started as a substitute teacher here at CITH ECC. Now my son is a senior at White Plains High School and I have been with the Church in the Highlands ever since. I have worked in the past with the 2’s class and helped with Tiny Tots, I also did the cooking and art enrichment classes in the afternoon. And I am happy now to have been Miss McTiernan’s assistant in the 3’s class for the last four years. church in the highlands has been a part of my life for over 10 years. My four children attended this preschool, and i have been a substitute here for the past several years. i graduated from fordham university with a bs in finance. after a brief career on wall street, i attended fordham law school. once i had children, i found the career of a corporate attorney too demanding and i left the workforce to stay at home with my children. substituting at church in the highlands and working with preschool-aged children the past several years has brought great joy to my life. seeing the world through their eyes is fascinating, and it is an honor for me to be a small part of their lives. i am very excited to be a teacher’s assistant in the 3’s class this year working alongside Mrs. McTiernan and miss lucia.